Students at Oral Roberts University can now connect to campus resources and navigate college life via a new mobile app. The institution partnered with OOHLALA Mobile to launch the app, which provides single sign-on access for students to manage their course schedules, tap into IT services and communicate with peers and faculty. "The rapid pace of technological change worldwide is reflected in ORU students' changing approach to life on campus," said Michael Mathews, AVP for innovation at Oral Roberts University, in a statement. 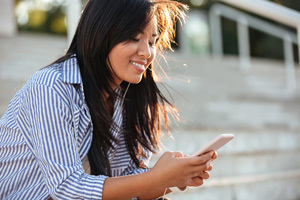 "Smartphones are now among the most popular ways to access information about campus life, making it increasingly important for colleges to engage students on mobile. With OOHLALA, we have built an app that combines native mobile technology with intuitive design to provide students with a comprehensive, integrated platform for their academic and student life needs – which is why we chose to name the platform the ORU Student Life App." In addition, the app can be updated based on real-time user feedback, to make sure it meets evolving needs. For more information, visit the OOHLALA Mobile blog.